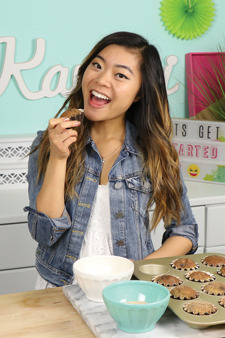 Fong produces, videotapes and promotes her channel while also working on her first cookbook for Clarkson Potter, a subsidiary of Crown Publishing. Every weekend, she travels home to Oakland to film in her self-funded basement studio, where the walls are painted her trademark seafoam green. “I’m living my dream,” says Fong, who runs on “enthusiasm and coffee.” Her YouTube fame gives her a chance to be a role model to youngsters, as well as a social media influencer, which she says is her favorite part of the job. While her fan base ranges from kindergartners to parents, the sweet spot is 18- to 24-year-old women. In spite of being immersed in buttercream and sprinkles every time she bakes, Fong doesn’t tire of confections. ROTC cadet goes the extra mile to serve.